Putting in place a comprehensive marketing technology stack is not what determines digital marketing success and data-driven thinking. It’s having your people skilled up and in the right mindset to employ the tools to what they do on a day-to-day basis. It’s this process and people switch that has dominated digital marketing transformation at National Bank of Canada, according to its practice lead for digital marketing, Eboni Boicel. The banking group has spent the past three years endeavouring to become a digital marketing success story, implementing the major of Adobe’s marketing technology stack in order to improve the way it approaches campaigns and engagement. The original driver was an ambition to standardise content management systems across various parts of the group, which has been built up largely through acquisitions. With that came disparate technologies and platforms as well as a decentralised approach to marketing, Boicel told CMO at the recent Adobe Summit in Las Vegas. The transformation has seen the bank centralise marketing activities into one team. That in turn, made it important to find one unified platform to roll out, Boicel said. Boicel and his team implemented Adobe Experience Manager, Analytics and Target in order to lift, personalise and optimise digital engagement and media targeting. The rollout took two years and was followed by Adobe Audience Manager. National Bank of Canada then worked with TubeMogul, which became Adobe Advertising Cloud, and in November 2017 licensed Adobe Media Optimiser for search marketing. At National Bank of Canada, the transformation office drew the blueprint and was in charge of approving big projects. Afterwards, a team of analysts and product manager with IT deployed the technology. With core services and tag manager in place, Boicel was then able to incorporate a lot of other technologies more rapidly and without that dependency on IT. What’s been vital to Boicel is giving staff time and a clear process to adapt to the technology. The bank initially skilled up at least one expert within each field, and at the same time, employed Adobe’s core service to minimise integration issues. The problem for most organisations investing in martech stacks is finding resources with expertise. Boicel said the focus has to be on transferrable skills. “For example, look at people that have done tag manager or analytics – that’s a lot more accessible. Then it’s a question of training in-house,” he said. Putting in place a technology is not what determines success, Boicel said. “Having the ability to ramp up your people to use it, is the most important factor,” he said. “It’s like a Bugatti – you can build one, but if you don’t have any drivers, you’re not going anywhere. That was working in parallel, activating our different solutions, but also making sure our users are always up to date, know where to get information, and that we’re fully utilising what we purchased. Getting buy-in for significant tech investment is also about people ultimately. The biggest challenge with investment in technology like this is executives expect you’ll get returns on day one, Boicel commented. “If you tell them it’ll take X amount of time, they won’t buy in. But after that, when you do deliver, you have to try and get as much value as you can in the short term,” he said. As you deploy more technology and the business starts to see the value you’re bringing in and trusts you, it becomes a lot easier to sell in, Boicel said. “And the pressure to immediately get a return on investment decreases,” he added. Once Analytics and Target were in place, Boicel looked to bring in Audience Manager to bring media buying in-house. Historically, media buying was done through agencies and their platforms. “So the first step was… about making sure for example with Audience Manager, that we’re using the marketing ID and we’re enabling that on all our platforms,” he said. Data was another part of this equation, and Boicel pointed to Web, media and analytics data as one pot, versus known customer first-party data. National Bank of Canada is in the process of a massive Hadoop warehouse overhaul, aimed at bringing all customer data sets together. In the interim, it was important to try and get return on investment with the digital-based data sets available, Boicel said. Phase two was to then connecting the DMP (data management profile) to the bank’s customer’s profile. “That allows us to enhance even more through inclusion lists, clients we don’t want to target in the acquisition process versus those to cross-sell and upsell to,” Boicel said. “Even in mass channels, this is about using the information we know on them, such as if they have a bank account but no credit card, for instance. The bank’s first initiative was acquisition-based. “For a very long time, the bank has done cross-sell and upsell using the client base. 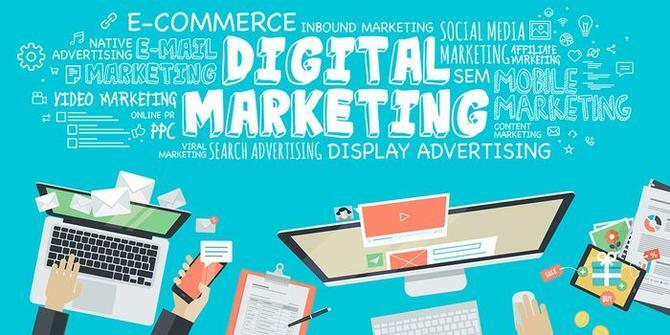 Bringing in digital marketing opened up whole new possibilities to acquire new clients,” Boicel said. “Now, it’s changing the way we do marketing and having an engagement strategy and acquisition strategy that are separate. For line-of-business leaders, what the digital marketing transformation has done is brought data-driven decision making to the fore. “When you’ve been working in product so long, you start to think everyone sees it the way you do,” Boicel said. “Our work to date has been a huge eye-opener. In our marketing campaigns, for instance, they’d emphasise how to position the product. But looking at our analytics, how people are searching, it made more sense to angle things in different ways, or position product B instead of A. We do A/B testing and show the data around actual clients and what they’re choosing in terms of the way the products are being offered. It took a good year to foster more informed data-driven decision making, Boicel said. Having the ability to tap data in-flight has been vital to building this maturity. For Boicel, personalisation is really about A/B testing on the fly, letting the machines make choices and activating the right offer to the right person. The work done to date means there’s now trust in doing these types of tests. “We want to now scale it at every touchpoint, so it’s not just the site, but testing in emails, banners, call centre scripts,” he said. The other part is realising that sometimes you can have a 200 per cent lift, and sometimes you have a 30 per cent drop. “It’s important to recognise not all hypotheses have success, but every one helps us understand whether what we’re doing is good, or if it’s time to try something we haven’t previously done,” Boicel said. Given National Bank of Canada is only in the beginning phases of personalisation, the emphasis is on relevancy. For example, a customer coming from a nursing or engineering association will see imagery, content and context relating to their industry. The strongest success story for Boicel has been around pension plans acquisition. Through testing, his team were able to convince line-of-business to employ terms clients are using, rather than product-centric language. Next up is changing email capabilities, and exploring Adobe Campaign. “After that, it becomes about orchestration, and how we orchestrate all offers and touchpoint, what channels we use and when, and getting to an always-on approach,” Boicel concluded.